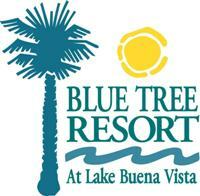 Among the most ideally located and well-appointed Walt Disney World Good Neighbor® Hotels, Blue Tree Resort offers the perfect place to enjoy a much-needed, stress-free vacation. We offer comfortable accommodations, tons of convenient amenities, plenty of fun daily activities and easy access to Orlando’s greatest attractions.Some of our desirable features include: Four outdoor heated pools, two whirlpool spas and a wading pool An on-site miniature golf course, as well as tennis, basketball and volleyball courts Complimentary scheduled shuttle services to nearby attractions Daily on-property activities and events, great for families A game room, shuffleboard area and outdoor playground A fully equipped fitness center Free parking with 24-hour security Laundry facilities And more! The area’s best golf courses, restaurants, shopping malls and outlets are also just a short drive away. Whether you’re in town for business or leisure, traveling alone or with family, you’ll feel right at home at our centrally located Blue Tree Resort. Two Bedroom Executive Suite, comfortable and beautifully decorated, accommodates up to 6 guests. Includes full kitchen with dishwasher, range, oven, refrigerator, microwave, utensils. Separate living room with sleeper sofa and dining room, TV with cable and DVD player. Complimentary wireless Internet access. Complimentary scheduled shuttle service to popular destinations including Walt Disney World® Resort, Universal Orlando® Resort, SeaWorld® Orlando and Lake Buena Vista Factory Stores. Offer not valid on Fridays or Saturdays. Valid Sunday-Thursday only. Not valid during holiday periods or special events. Additional blackout dates may apply. Must be reserved as consecutive nights and cannot be combined with other offers. Resort reservation policies apply. Reservation requests are subject to availability, within the redemption period, determined only by the designated contact person(s) listed on the winning voucher. Purchase is non-refundable and non-transferable.